1956Comedian Soupy Sales loved children as much as he enjoyed taking a signature cream pie to the face. 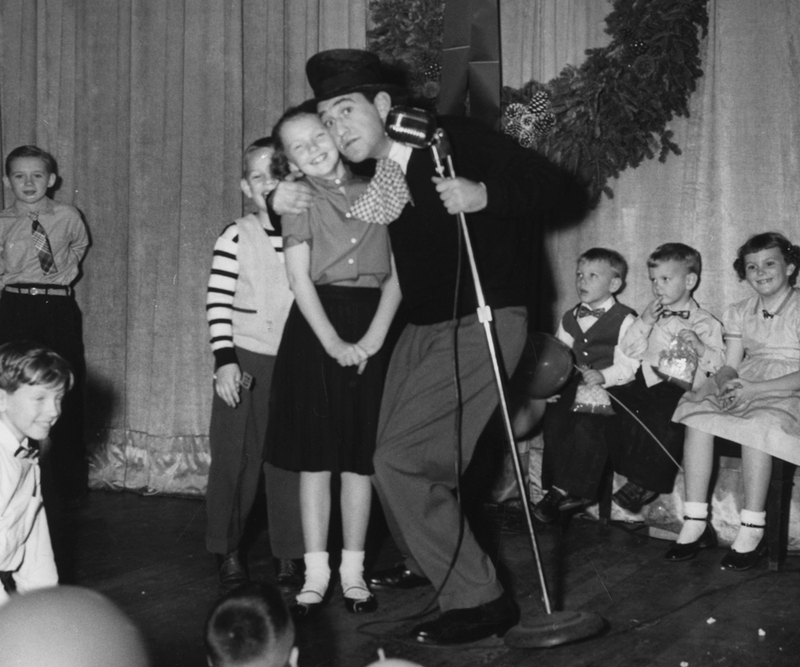 He hugs a young fan here during a Christmastime episode in this circa 1956 photo. His Lunch with Soupy (originally called 12 O’Clock Comics and later titled The Soupy Sales Show) was a live TV show filmed at WXYZ’s studios in the Maccabees Building in Midtown Detroit. It debuted in 1953. Sales delighted kiddies with his wacky skits and zany puppets White Fang, Black Tooth, and Pookie the Lion. But his fans weren’t limited to the pint-size set. He also had a late-night show called Soupy’s On, a comedy/variety directed at adults. A jazz buff, Sales often invited top performers on the show, including Duke Ellington, George Shearing, Charlie Parker, and Miles Davis. In 1960, Sales moved from Detroit and had shows in Los Angeles and New York, but he was always grateful for the start Detroit gave him. In 2001, he published his memoir, Soupy Sez! Sales was born Milton Supman in 1926 in Franklinton, N.C., and grew up in West Virginia. 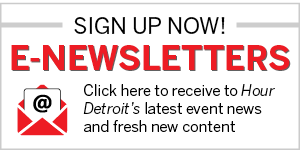 He worked in radio and television in Cincinnati and Cleveland before hitting it big in Detroit. In 2009, Sales died of cancer in New York at the age of 83.